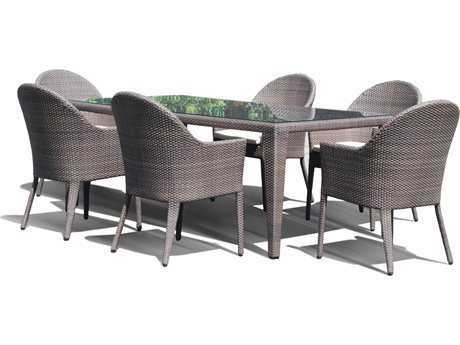 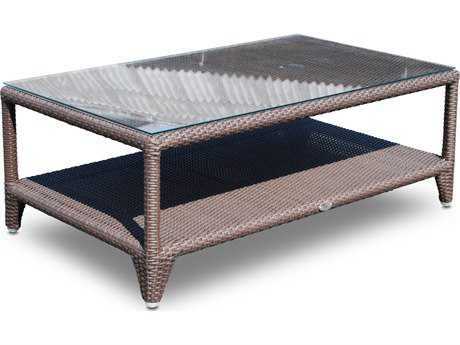 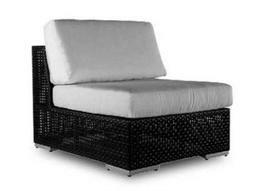 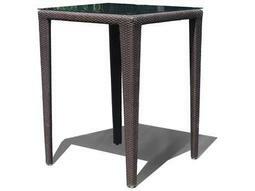 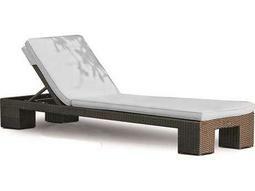 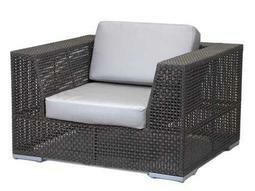 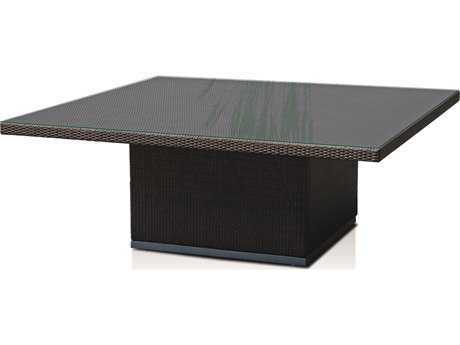 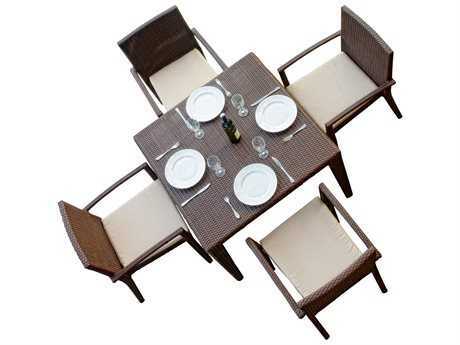 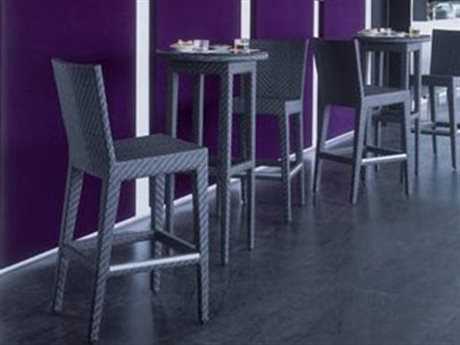 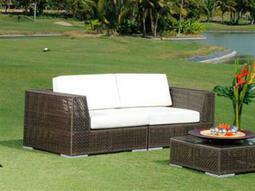 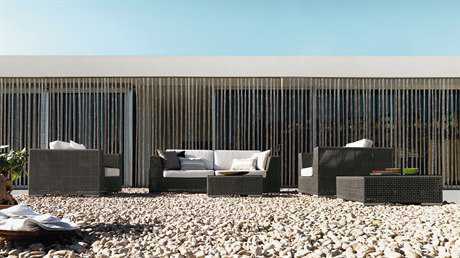 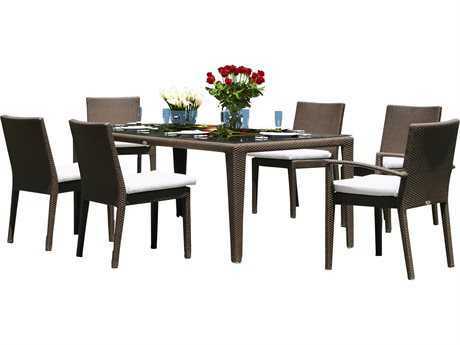 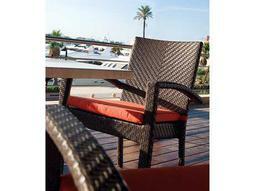 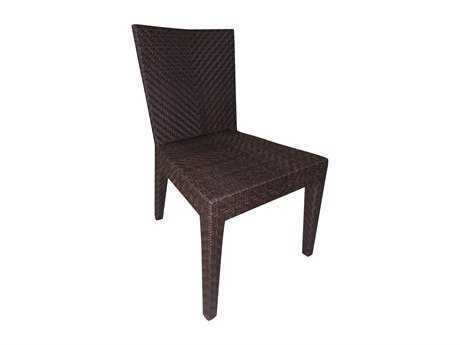 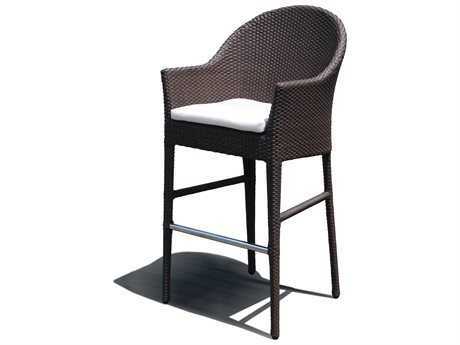 Hospitality Rattan Outdoor has been producing high quality rattan, wicker, and bamboo furnishing since 2000. 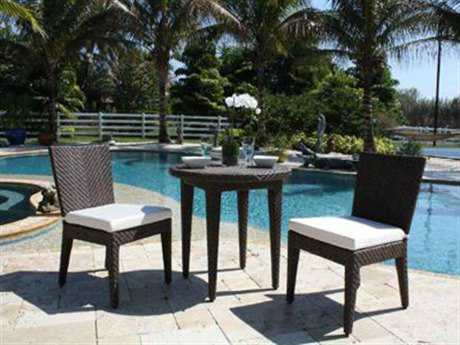 Their outdoor collections strive to turn any area into a tropical resort, and the company strives to help limit their impact on the environment during the manufacturing process. 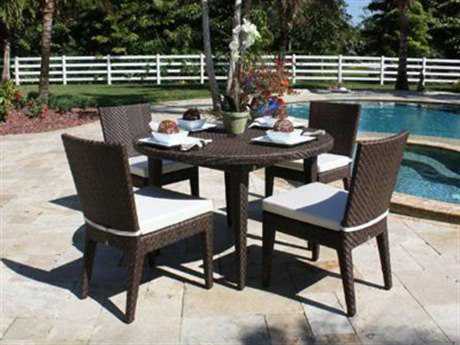 The brand makes high quality furniture that’s eco-friendly, stylish, and durable. 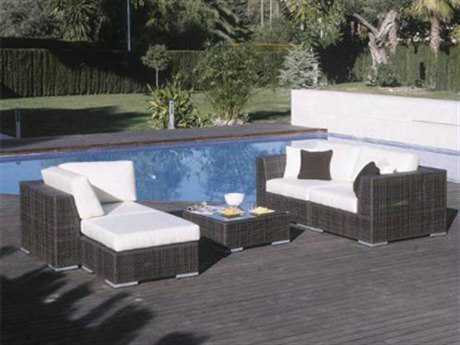 The brand crafts all of their products using materials like rattan and hardwoods that are sourced exclusively from renewable suppliers. 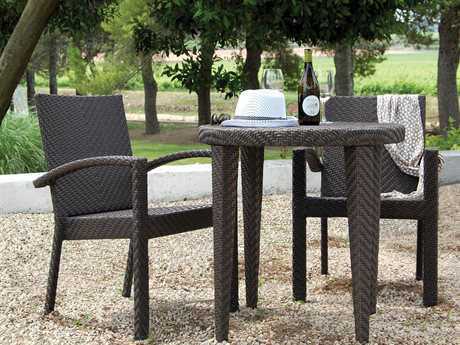 Hospitality Rattan Outdoor holds their suppliers accountable to make sure that they are producing sustainable products that won’t hurt the environment. 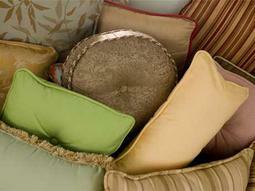 All of the brand’s products are green. 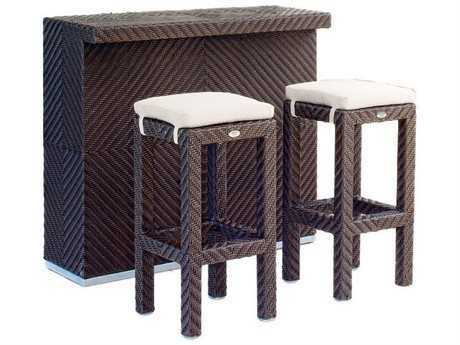 From its basic raw materials of rattan poles, peels, leather, bamboo, abaca, lampakanay, wood, leather strips, and boards down to other materials like nails, staples, water-based adhesives, finishes, stains, glazes and packing materials: all have minimum impact to the environment and are safe, biodegradable and recycled and mostly recyclable. 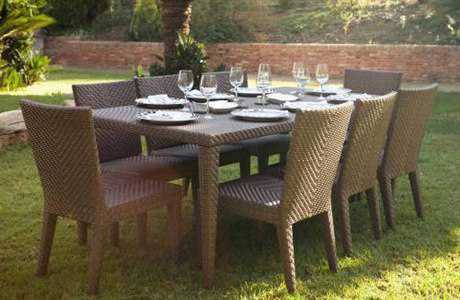 Aside from this, the products have undergone an environmentally-friendly process that makes them "greener". 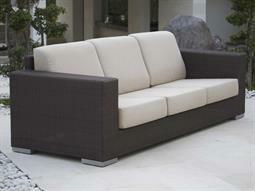 The brand's furniture is not only sustainable, it’s sleek, modern, and comfortable. 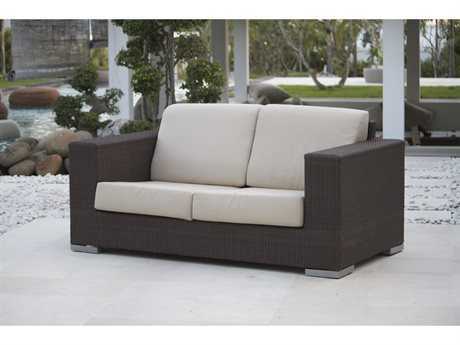 The Soho collection from the brand features a unique see-through modular sectional that gives you endless arrangement options from a sofa or loveseat, to an armless chair setup, to a standard sectional. 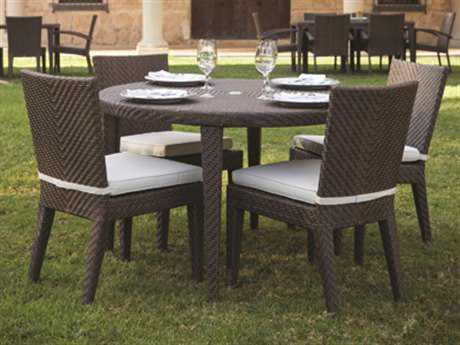 The collection also includes a full dining group and pub set to match the lounge bed, as well as rattan end tables, chaise lounge sets, coffee tables, and ottomans. The Soho collection offers deep seating for maximum comfort. 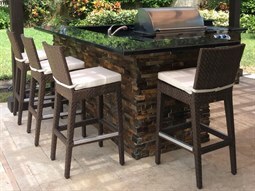 In addition to the brand’s wide selection of lounge and dining sets, they also offer individual pieces such as lounge chairs, chaise lounges, dining chairs, bar stools, loveseats, lounge beds, sofas, ottomans, bar tables, dining tables, coffee tables, console tables, end tables, and table tops. 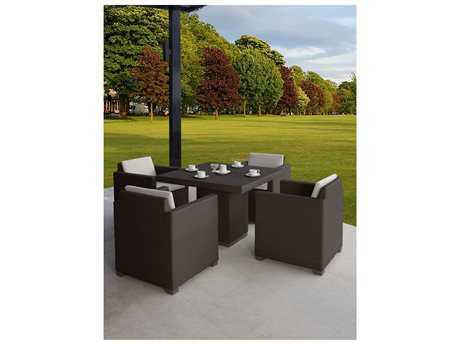 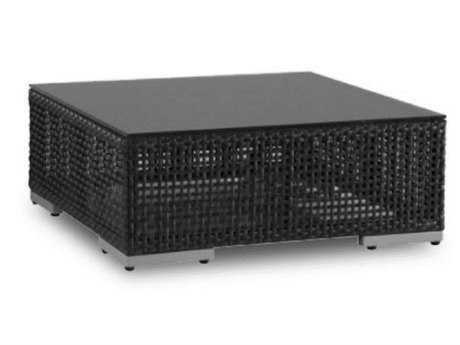 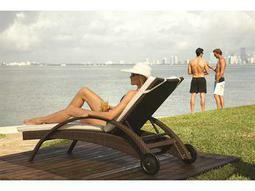 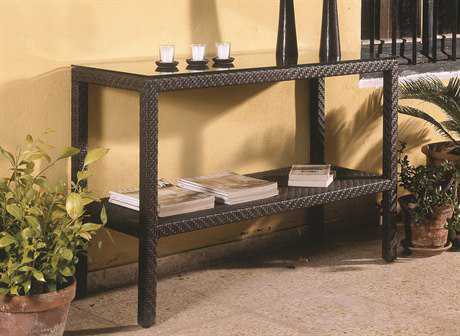 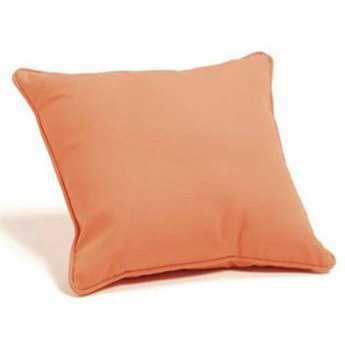 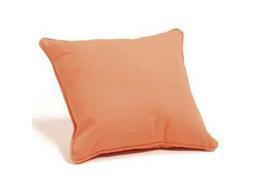 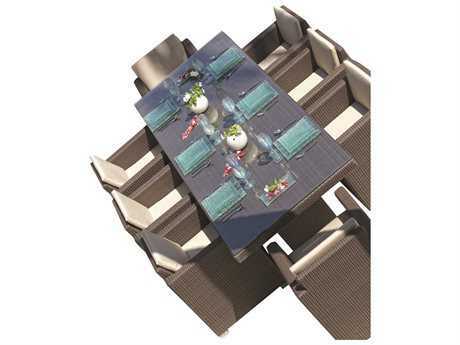 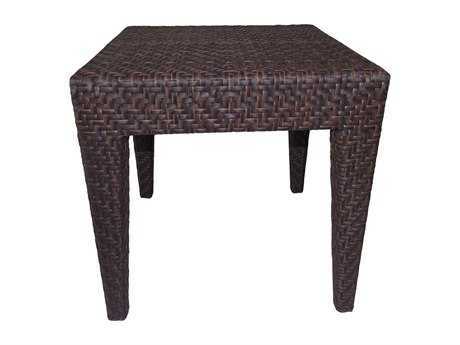 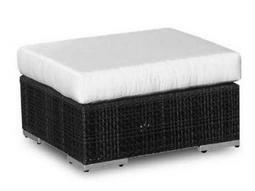 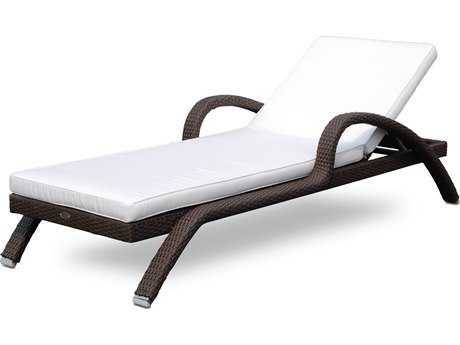 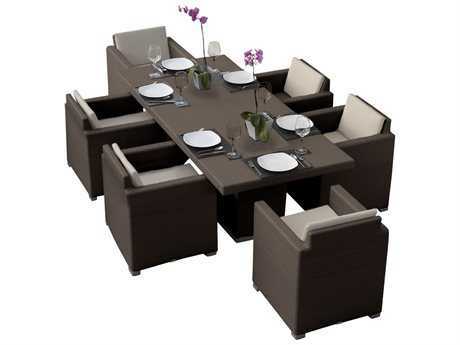 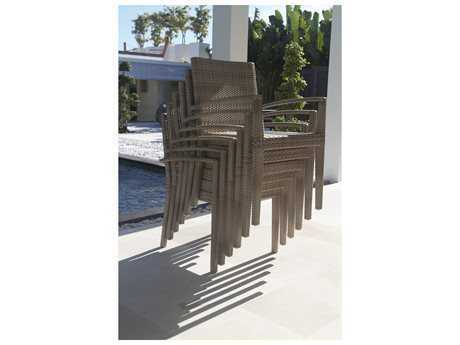 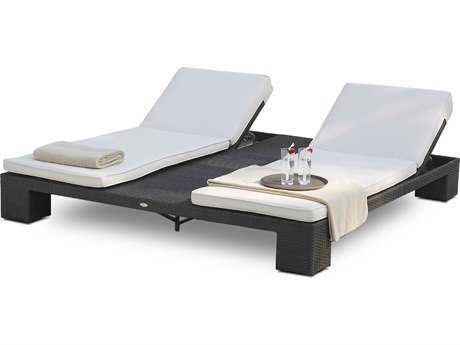 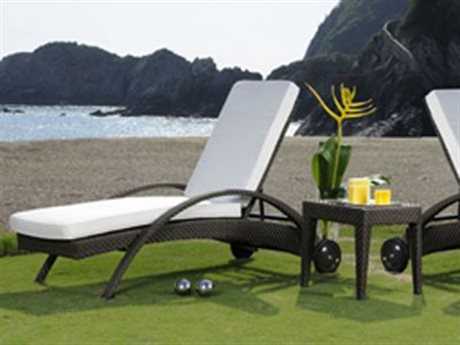 The company also makes patio accessories such as patio cushions, pillows, and serving carts. 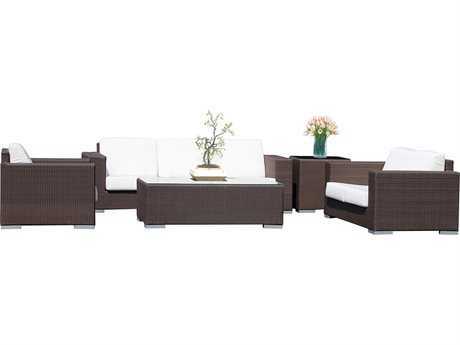 With so much selection, you could outfit an entire outdoor space with the brand's furniture. 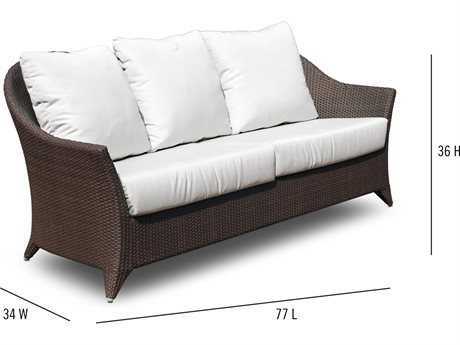 The company offers an extensive selection of Sunbrella outdoor fabrics for their patio cushions to give you complete control over the design of your furniture. 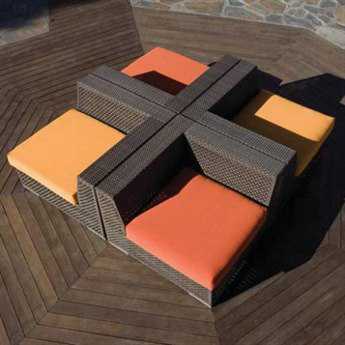 This allows you to create a color scheme that matches your style perfectly. There are many different styles of Hospitality Rattan Outdoor furniture, and there are pieces sure to fit any aesthetic from modern to traditional to casual. The brand's furniture is built to last, especially outdoors, so all of their outdoor pieces are constructed from high-quality aluminum frames and woven with Viro or Rehau synthetic wicker that is fade resistant against harsh sun or rain exposure. 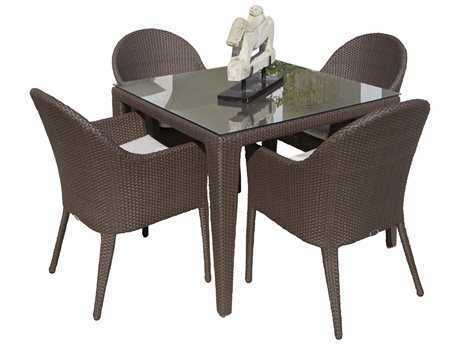 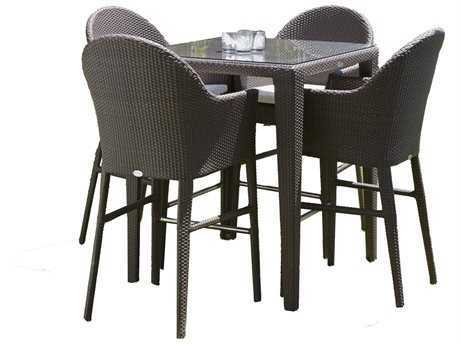 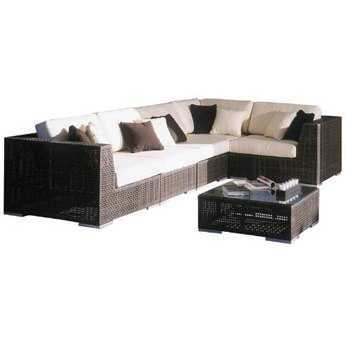 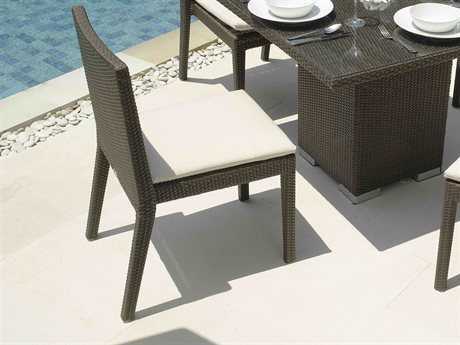 Hospitality Rattan Outdoor furniture is a durable and dependable choice for any outdoor space, commercial or residential.